[…] “You can eliminate huge transport costs by crushing it immediately on-site. And it will save you a lot of space in your small area.” said Max Ravazzolo, CEO of MB Crusher America Inc. The BF90.3 crushing attachment is the Company’s most popular model for small to medium jobs. […] It crushes hollow core walls, railway sleepers, reinforced and non-reinforced concrete, natural stone and asphalt into reusable aggregate materials for base or fill. 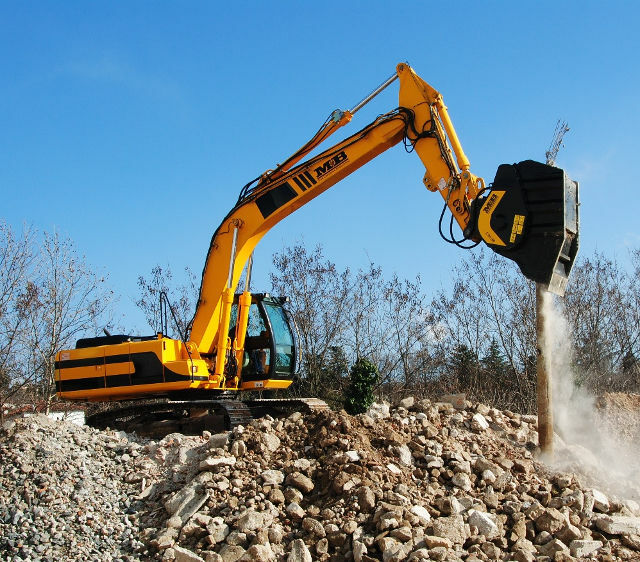 In addition to crushing attachments, MB offers trommel screening attachments, 360-degree rotation grapples and dual head rotary drum cutters for a wide scope of work, which includes demolition and excavation, road work, quarries, mining, pipeline work and environmental reclamation projects.